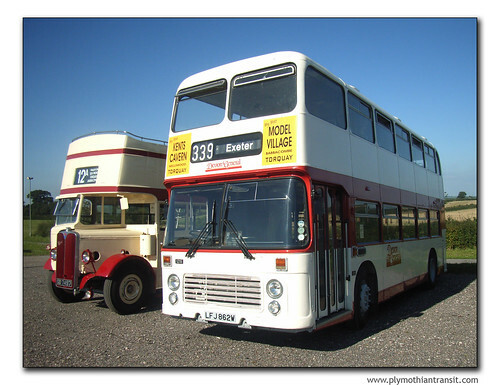 I am pleased to announce that we (the Devon & Dorset Group) can now announce that we have secured a date and site in Torquay for a Bus Rally and Vintage Bus Running Day. The event will be on Sunday September 6th at Shedden Hill Car Park which is adjacent to the White Footbridge on Torquay Sea Front. So those of you that are vehicle owners we would love to see you and those that attend events we will be pleased if you would come along and support this event, anyone who lives local and would like to volunteer there services with help and assistance in the run up to and on the day then we would love to hear from you. The website for the event will go live next week and I will post the link to that when live, on there you will find all the information you will need for the day as well as download an entry form, but PSV vehicles of all types will be welcomed especially those with a local connection to South Devon.